The Autom robotic weight loss coach is now ready for pre-order on the Intuitive Automata web site. Autom talks with you every day to help you reach your weight loss goals. Manga and anime fans have seen this future already. In the 2001 series Chobits, Sumomo is a "mobile persocom", essentially an animated laptop computer in human form. She leads Hideki in wakeup exercises every morning and dances in standby mode. 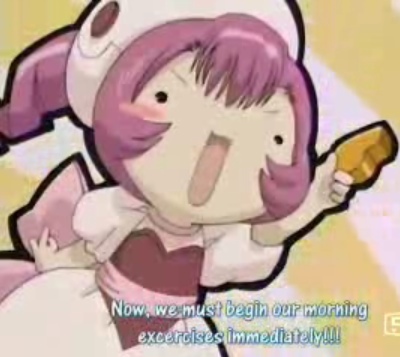 Take a look at a Chobits mobile persocomm excercise video for comparison purposes.